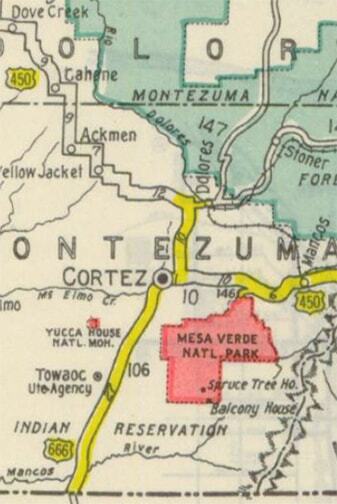 The map above also shows that in 1938 (coincidentally), the US 84 designation was extended westward through New Mexico. 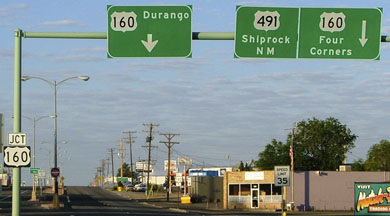 For just a few years, it was overlapped with US 666 north from Shiprock, and it ended here at the same junction (CDoT maps between 1939-1941 show this, but it is unclear whether US 84 was ever actually signposted along that route). 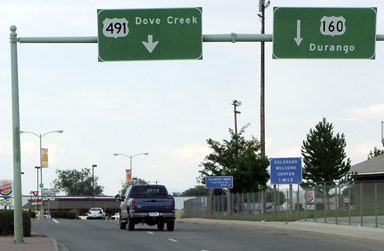 Pinon (to the right) is actually "Spur 491"; it connects with mainline 491 after about three blocks. 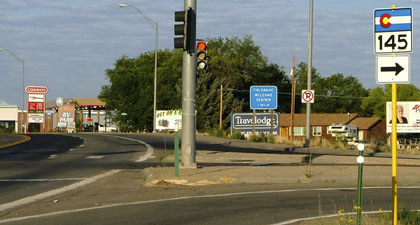 It is one-way from here to Linden; traffic coming the opposite direction stays on Linden, which is the intersection behind the pedestrian sign. 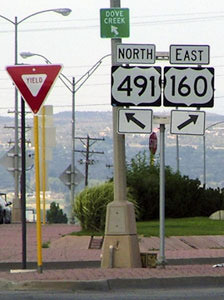 But it was formerly US 160 that went right; straight ahead (and then bending to the left) was the west beginning of US 84 from 1938-1940, the north beginning of US 666 from 1938 to 1970, and the east beginning of US 164 from 1966 to 1970. 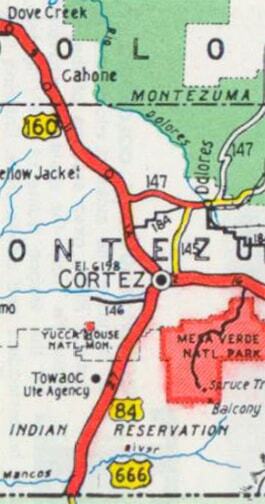 If US 84 was ever signed to Cortez, it was only until about 1940. 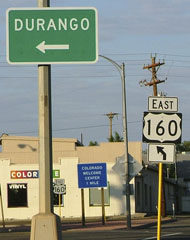 In 1970, US 160 was redefined to follow its current route southwest out of Cortez and through the Navajo lands. 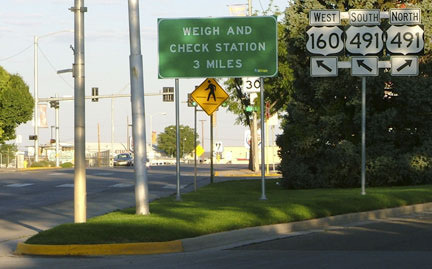 That eliminated the need for US 164. 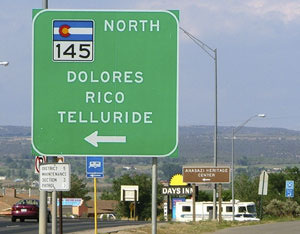 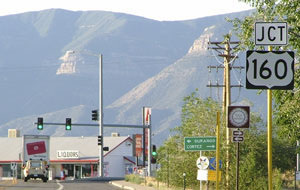 US 666 was then extended northward out of Cortez along the former route of US 160, so since then no US routes terminate in Cortez. 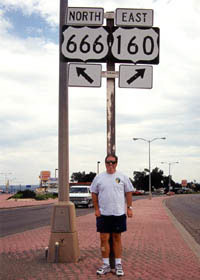 US 666 was renumbered to US 491 in 2003.
last updated May 8, 2016.